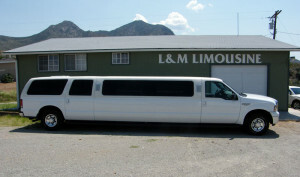 L&M Limousine LLC has provided ground Transportation for our clients and the general public for almost thirty years. Whether you’re looking to tour the Mesilla Valley, get to a Corporate Event in style, impress an Important Date, hit the hottest Nightclubs, or receive a prompt Airport chauffeur meet & greet, L & M Limousine will surpass your expectations. 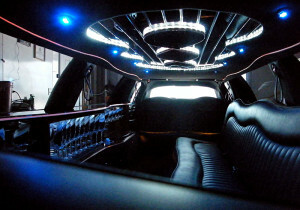 We create every package and service with your enjoyment in mind and provide sodas, bottled water, ice and barware in all limousines. Other amenities upon request. Our Fleet includes two Lincoln town car L series, one Lincoln Town car signature, one Lincoln Navigator L SUV, one Ford Expedition L SUV, A 10 Passenger Lincoln Stretch and a Ford Excursion 14 passenger Stretch. We are licensed by the PRC of New Mexico as well as the Federal DOT. 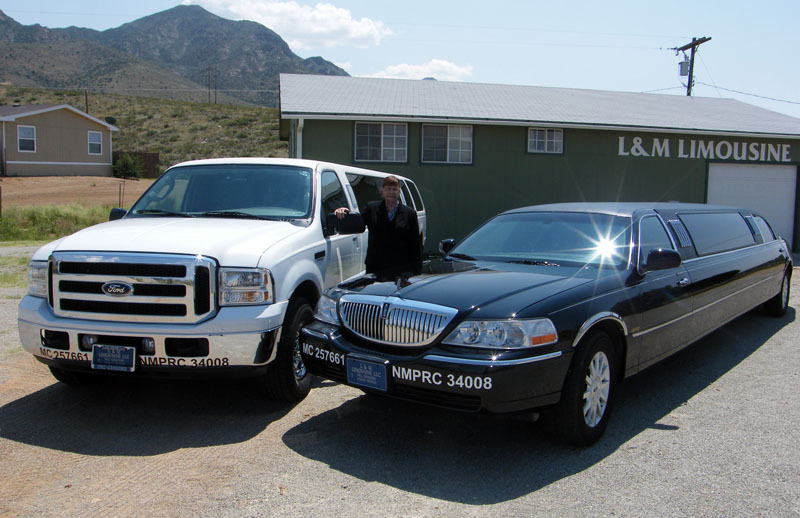 We are members of the National Limousine Association, the Las Cruces Chamber of Commerce and the Better Business Bureau. All of our vehicles are garage kept and well maintained. We have for almost thirty years provided airport transportation to and from the EI Paso airport in private sedans or SUV’s for corporate and business travelers as well Las Cruses and surrounding home owners and their visitors and friends. Always door to door whether Hotel or Home. 24/7 we are always available by phone for changes and cancellations. We provide services to private planes at surrounding airports. We have been honored to provide services to five governors and many entertainers and VIPS with NMSU and the Pan Am Center at NMSU. We provide services to the wedding couple and guest as well as Quinceaneras, Proms, Bachelor and Bachelorette Parties, concerts and all other occasions.